Our website (trackingshipment.net) is not affiliated with HongKong Post. Please be advised that HongKong Post - tracking service has just been added to our service, and we haven't enough time to collect a lot of information about popular questions. At the moment all results are being represented without our correction. You can ask any question about it; we will find an answer to it. We will make a FAQ in the short time. Customer care no: (852) 2921 2222. 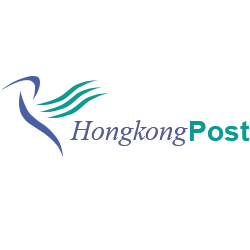 Hong Kong Post is a unique delivery service provider, which started its work in November 1841. In those times, it was an outstanding breakthrough. Thirty-six years later, the company joined the Universal Postal Union. People received an opportunity to send mails from pole to pole. Nowadays the company is an international postal service provider, which is constantly growing. Generally speaking, the principle goal of the Hong Kong Post is a complete orientation on client’s needs and constant development. The brand is well known among people, thus, when sending a package you can be safe, the recipient will surely get it. How One Can Track a Parcel, Using Hong Kong Mail Tracking System? Almost all delivery service companies provide their clients with an opportunity to track the packages, Hong Kong Post is not an exception. Using Hong Kong post tracking system, everyone can easily get the information about the package or parcel. Hong Kong tracking is a simple instrument, which can help you to find out the detailed information about the locality of the package and approximate delivery time. Certainly, to use Hong Kong tracking system, it is necessary to know a package tracking number. Customers receive a number at the post office just after the representative of the company accepts the package. Besides, you can get the code via text message if you make your order online. The representative of the online store sends the number due to which you can find the parcel. To find the package, you have to open the official page of Hong Kong Post and type the received number in the Hong Kong mail tracking system. By the way, Hong Kong post tracking system is being constantly updated, thus, you can always rely upon the received query response. Naturally, at the present time, people order different goods from the whole world. For this reason, it is of paramount importance to use the services of time proved international delivery companies. Of course, when a person orders something from another country, it is even more important to check the parcel. For international orders, it is also possible to use the shipping service tracking. Certainly, when one has a necessity to monitor dozens of orders made via different delivery companies (like EMS, Blue Dart, India Post, etc.) it is much better to use one omni-purpose monitoring system. Among the most convenient and useful universal trackers, it is important to mention k2track, offering you Hong Kong Post tracking system. The system will help keep you informed about all the orders you made.